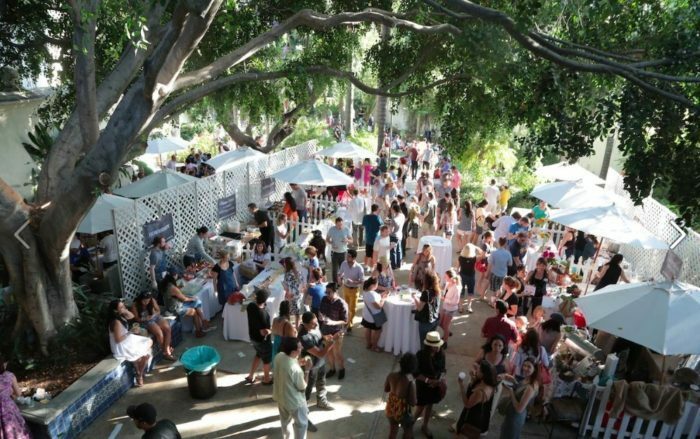 Taste of the Eastside returns to Los Angeles River Center and Gardens on April 30 for a food and drink festival that boasts some of the best and most diverse tastes from the food scene of the eastside neighborhoods of Silver Lake, Echo Park, Eagle Rock, Highland Park, Los Feliz, Atwater and beyond. Listen to live music and tunes spun by KCRW DJs as you feast in food glory at this beautiful mission-style villa backdrop. Over two dozen eastside restaurants are sharing their signature dishes to stimulate your taste buds, so a big appetite is a must. VIP Early Access ($75/ticket pre-sale; $85/ticket day of the event) begins at 3 p.m. and includes unlimited food tastes, three drink tickets, VIP demos, exclusive VIP gift bag, front row demo seating, and priority parking (2:45 p.m. to 4 p.m.). General Admission Access, from 4 p.m. to 8 p.m., includes unlimited food tastings and wine/beer/alcohol for purchase. April 29 is the last day to score General Admission tickets for $45 before they rise to $55. Tickets for kids ages 2-12 are $12 and children under 2 are free. Better snag your ticket now!